Custom Cut Lawn Care, LLC. 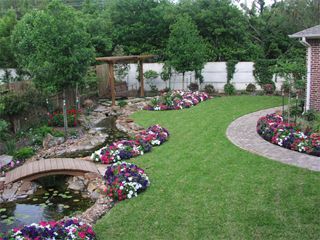 is a Florida based landscape installation company that has been serving southwest Florida since January, 2008. 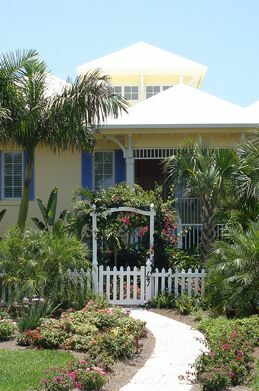 Our landscape company has designed and installed landscapes for homebuilders in St. Petersburg, Tampa, Clearwater, Pasco, Riverview, Orlando and most of the Tampa Bay area. We will gladly work with your landscape architect, or work with you personally to design a landscape for you to enjoy for years to come. We are fully insured and we do not advertise our landscape company like many others. Our business has grown in southwest Florida through referrals from many satisfied clients over the years. This is an advantage to our customers because without the cost of advertising, we are able to keep the cost to you, our customer, to a minimum. Your landscape design is out of this world. Even after drawing it out on paper we could never have imagined the outstanding quality of our new yard. You take great pride in your work and we appreciated that! By Tim and Donna G.
Jason Bathalon is the owner of "Custom Cut Lawn Care, LLC." His experience includes over six years in the lawn/landscaping business. From 2003 - 2008 he worked for a local lawn service as a Foreman and then as Accounts Manager. He left in November of 2008 and purchased his own lawn care business. In addition to the normal care of lawns, he has experience with sprinkler systems as well. Jason also is available to do pressure washing of driveways, patios and pool decks. His work areas include Pinellas and Hillsborough. Jason is married to his wife, Sheri, who serves as the Accountant for his lawn care business. Jason and Sheri have a six year old, Devon, who presently attends Kindergarten. Other family members include their dogs, Jasmn and Trina, and their cat, Dory. Jason and his family have a travel trailer and enjoy camping at State Parks and especially in Fort Wilderness at Disney World. Jason will be happy to come and quote any job, big or small.